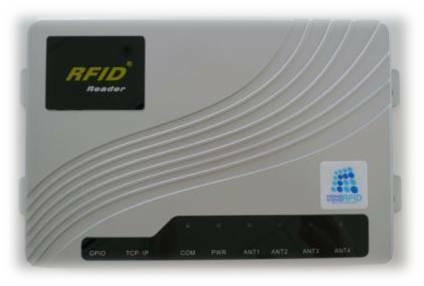 With improvements on the first generation of UHF stationary readers, we now gladly launch our advanced UHF RFID 4-channel long range reader - HKRUR-3082. HKRUR-3082 has four antenna ports allowing tag reading in all directions to provide better coverage in all operation environments. Reading range of the reader is up to 12m with high performance UHF tags. The reader is compatible for reading different tags worldwide. Awarded with EPC Global’s Gen 2 hardware certification, interoperability marks and certified for Dense Reader Mode operation, It is designed to address complexities of international businesses.It has anti-collision algorithm, supporting multi-tag identification performance at the same time. Besides, the reader performs single tag read, tag write, lock and kill tag functions fast and accurately. The reader supports TCP/IP interface, providing easy access to computer for showing tag information. Used with different protocols, plus its fast reading and separate type design, the reader provides perfect solutions for a wide range of applications. HKRUR-3082 provides your warehouse system with enhanced operational ability and efficiency. When installed at any entrance of warehouse, the reader reads all information in tags passing through with a high speed and covering a large area. Operators can connect the reader to a computer with ease and retrieve entry and exit history of all inventories conveniently. 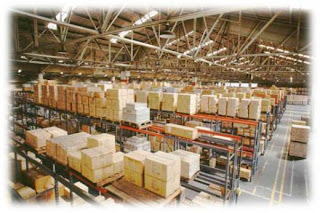 This reduces inventory errors ensuring accurate information of items and quantities in and out of the warehouse at any given time; eventually improving the accuracy of operators’ forecast of demand and control over inventory. The reader provides the most cost effective solutions to manage your warehouse. HKRUR-3082 has the following features. The product is now available.